When Emil and Rasmus Albrechtsen, twins with impossibly great heads of hair who are the brains behind the very popular Slikhaar TV and the Slikhaar Studio, reach out to let me know they have a product they want me to try, I'm always intrigued. The latest product they're hyping is the unique By Vilain Gold Digger. 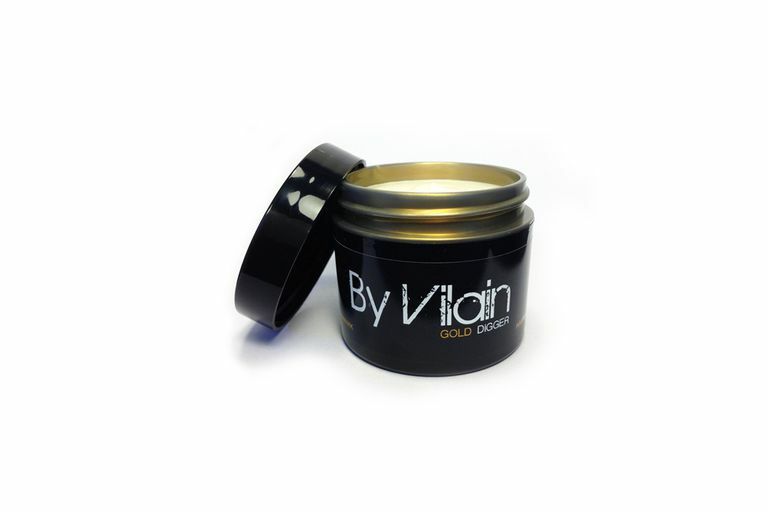 By Vilain Gold Digger (what a name) is a wax with an extremely high hold and matte finish. The product is similar to many of the matte finish waxes on the market; it's just strong. Very strong. It's like the bully on the hair product playground—it'll beat your hair into submission. 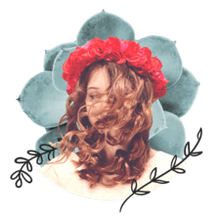 Of course, the amount of product you use is determinant of the hold: use very little for a lighter hold or fine hair, or a larger dollop for stronger hold or very thick hair. It really is a great styling product. The product can be used for smooth and groomed or high texture styles, and it works like most matte finish waxes, where you just work a small amount around in your palms until it starts to get a bit warm, and then work it through dry or slightly damp hair. With By Vilain Gold Digger, it is essential to emulsify the product very well in your hands before applying it to your hair. Work quickly, though, because this stuff sets up fast; in the hands, it's a short time until it starts to feel tacky and glue-like. To extend the "workable time" of the product, add just a bit of water to your palms. You can also use more than one styling product at a time if you're looking to retain Gold Digger's hold, but want a little shine. The product can even be used as a "pre-styling" tool if you put a little bit into wet hair, and then dry with a comb or wide-tooth brush. This will help add some texture before finishing the style with a bit more Gold Digger (or another product of your choice, for that matter). I've used this product on myself and several clients (it's great for thick hair, but tends to be too aggressive for fine hair) and I've got to say, it's... unique. Once the product finally sets up, your hair isn't going anywhere—but unlike a gel, it remains pliable. As I mentioned, By Vilain Gold Digger is a great option where total control and a matte finish is desired, and can work well for formal styles or just day-too-day wear. I really love using Gold Digger to achieve that "day on the beach" type style; it's also a good option for guys who feel like their "second day hair" looks better than the day they've washed it. The white, wax-based clay has the consistency of a very heavy clay and has virtually no smell (although parfum is listed as an ingredient). Because of the wax base, you definitely will need to shampoo the stuff out, which you should really be doing anyway. Use a good clarifying shampoo when it gets thick, there are plenty of them out there. At the end of the day, I don't have a lot of negative things to say about the product. At around $25, it's reasonably priced for such a good product. It is a bit of a hassle to wash the stuff off of your hair and hands hands (soap and water are required), but that's the tradeoff for as high hold of a product as this is. I would definitely recommend By Vilain Gold Digger for those who are looking for a super hold with a matte finish. I've had fun testing this one in my barber shop, and I'll certainly keep this in my box of essential styling products.